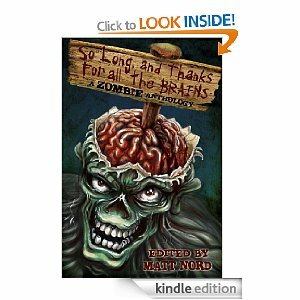 Fiction by Michelle Ann King: Zombies Ahoy! I have a new found love for Zombies, so I will have to check this out. I had the groovy opportunity to play a Zombie extra in a feature film and spent 12 hours on set yesterday! It was one of the coolest things I have ever done. Didn't really care for zombies much before this, but after having such a great bonding experience with my fellow zombies, I now believe we are the bomb!! Good luck to you on your sales. Wow, how awesome is that?! What's the film called? I'll have to look out for it when it comes out!